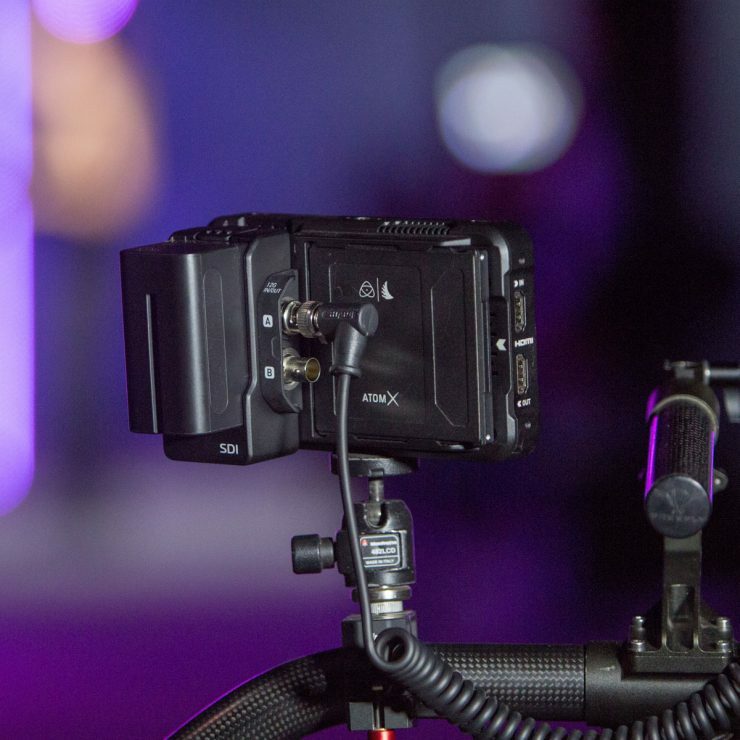 Last year at NAB 2018 Atomos showed us the Ninja V for the first time and the first question I had after learning about the expandability it has with modules is what about an SDI version? Well, it seems I’m not the only one that wanted this and Jeromy Young, Atomos’ founder and CEO, is reacting to what the people wanted more than any other modules. 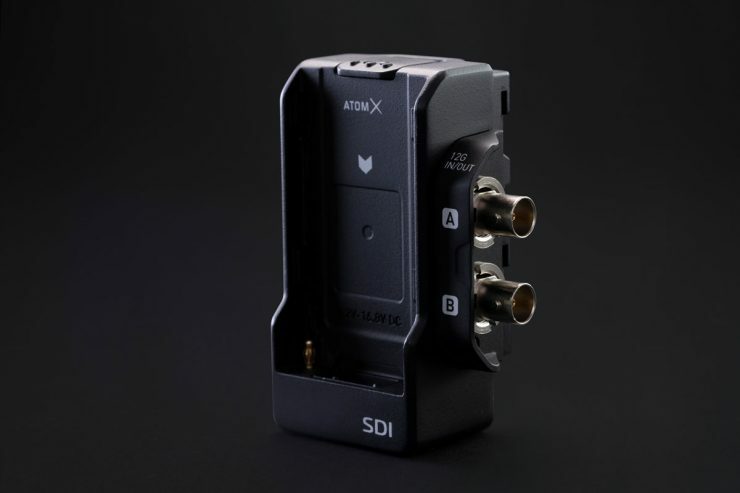 The SDI module for the Ninja V has two flexible 12G/6G/3G SDI connections which can be configured to either two inputs, two outputs or one in & one out. 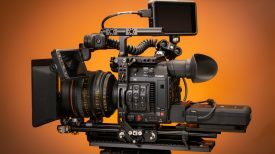 For older cameras, the two can be paired together to create a 6G per channel input or two 3G SDI combined for 4K input. The SDI input can only be recorded to Apple ProRes and Avid DNx file formats. There is no ProRes RAW recording with the SDI input. Not to be a one trick pony. With the SDI module, you can also input two cameras or signals and select them individually to record. This isn’t a live switcher but a selectable two input signal. 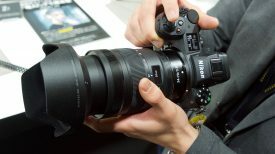 Let’s say you have two cameras and want to record both into the Ninja V separately and not simultaneously. In the interface, you can choose either A or B inputs and then record. Basically switching between two sources but not live. Another feature is two SDI outs for simultaneous playback, or Loop in and Loop out. We haven’t confirmed if this is only for playback of internal material or the HDMI input, acting as a cross converter. 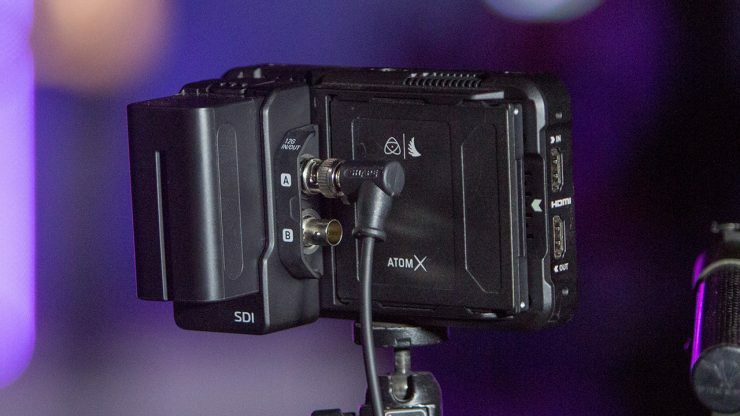 With the AtomX SDI, the Ninja V can simultaneously play-out video over both HDMI & SDI outputs. It can also output from both SDI ports at the same time. If you have LOG footage, you can even display the footage out with a LUT or viewed in AtomHDR mode. 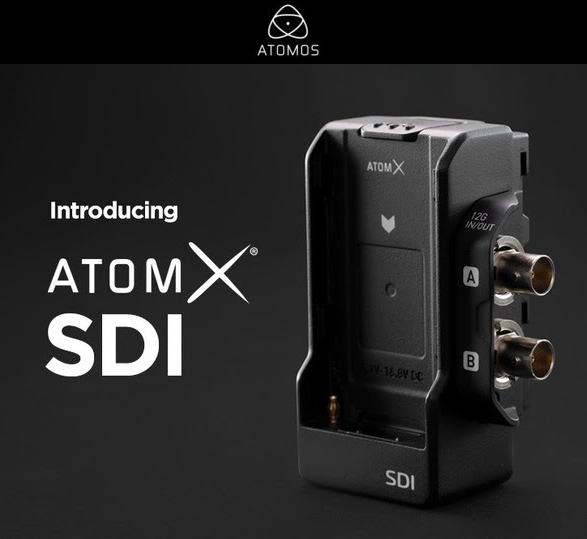 The new AtomX SDI module for Ninja V will retail for $199 USD and €199 plus local taxes, shipping in May. The Ninja V retails for $695 USD. 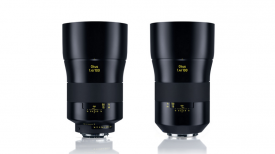 What about the other AtomX modules previously announced? We are still waiting for the AtomX Sync & AtomX NDI modules, due to the demand for the SDI on the Ninja V, the Sync & NDI modules were placed lower in priority but are still due to be released soon. I think this is exciting news for anyone that wants SDI on the Atomos Ninja V. The recorder/monitor in a compact 5″ display is great for lightweight setups and the bright 1000nit screen makes it versatile to use outside. It’s nice to have options instead of having to buy a second SDI version. Erik is an 18 time Emmy award-winning DP, with over 20 years experience in photojournalism, working in newsrooms all over the USA. The last decade has seen Erik migrate into broadcast television and filmmaking, where he has discovered a passion for visual storytelling and production. Additionally, Erik is an outstanding educator, teaching filmmaking via courses on Linkedin Learning and Lynda.com.